Electric gate repairs Hornchurch.Automatic gates Hornchurch for "All YOUR AUTOMATION NEEDS". Automatic Automation The look of a house is completed when a huge gate is fitted in front of it. Gates are one of the most common factors that add an elegant ambiance to the surrounding of the house. Entrance matters a lot. 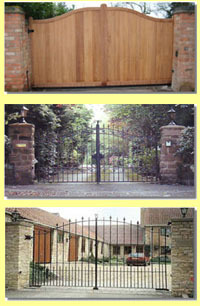 We provide all types of gates and barriers to make your house whole. We serve the Barnet by providing the best quality gates and services to make your property safe with it. We undertake repairs and servicing to existing systems, offering upgrades as well as supply and fit new installations. We are also able to manufacture gates and railings to your bespoke design. We offer an annual maintenance contract...please contact us for further details.